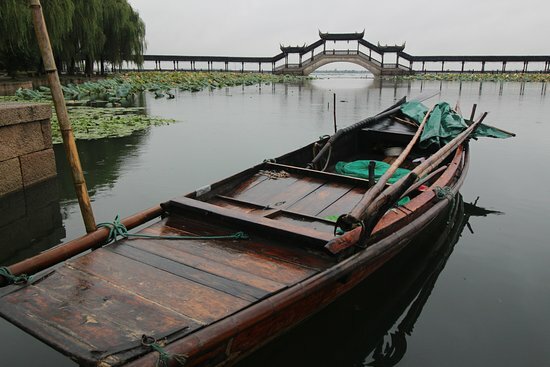 Surrounding Shanghai is a variety of beautiful and historic water towns. 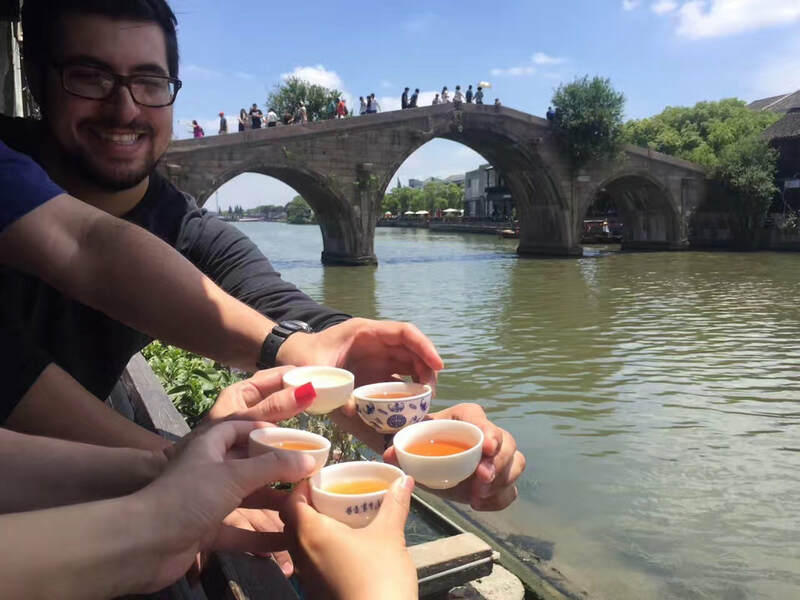 You'll stroll through ancient streets, traverse stone archways, dive into unique shops, take scenic gondola rides and be introduced to unique foods. If limited time, see this one. 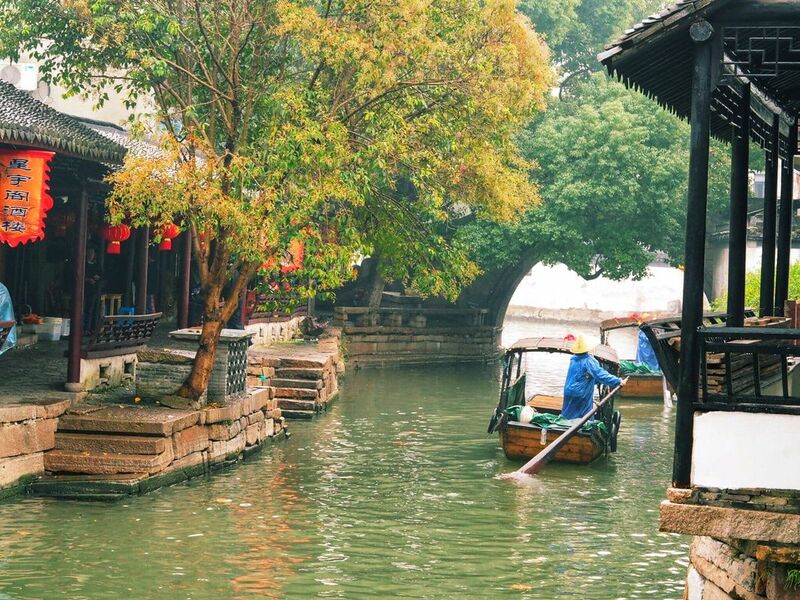 This 1000 year-old Water Town is the closest to Shanghai and just an hour by car. This town has it all - ancient bridges, canals, gondola rides, food and more. It's busy, but is our recommendation if you can only visit one, even if you only have half a day. 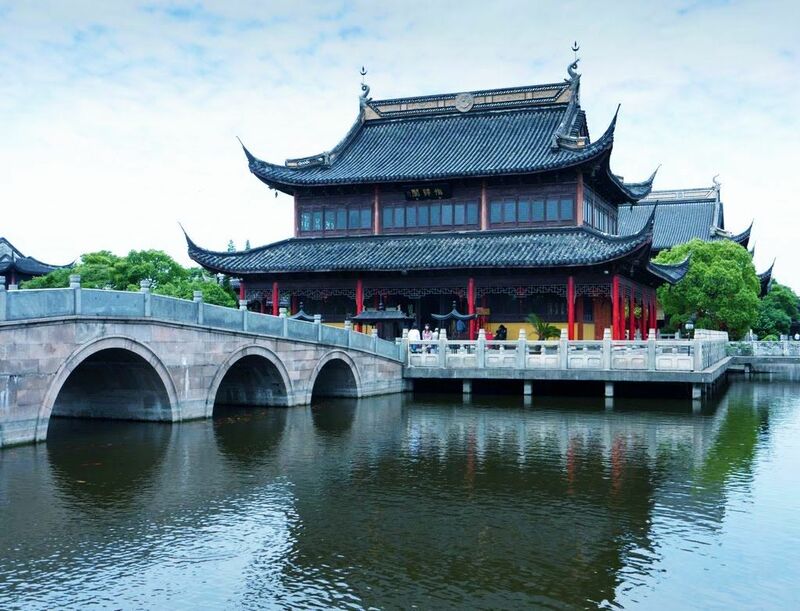 The most authentic Water Town for local culture, the "Oriental Venice" surrounded by lakes and 40 bridges, three very famous ones - Taiping, Jili, and Chanqing. Its Retreat and Reflection Garden is a UNESCO Cultural Heritage site. See with Suzhou. 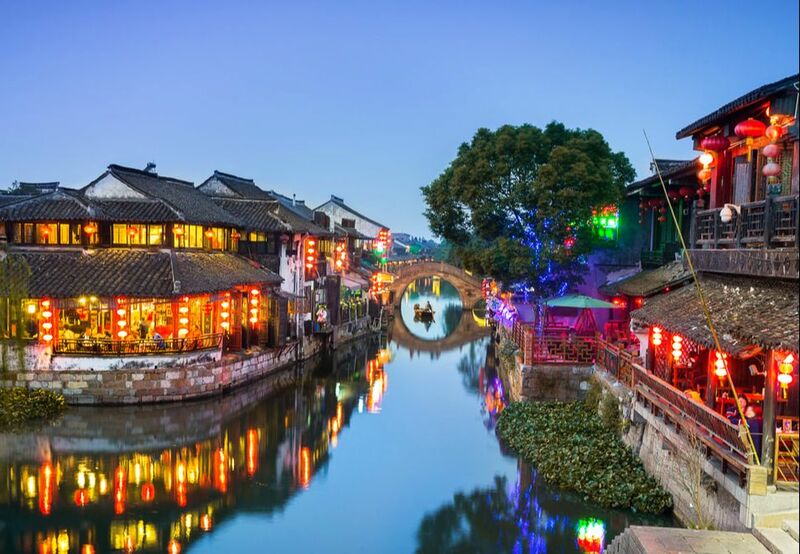 This largest and most advanced Water Town, featured in movies and Chen Yifei paintings. A UNESCO AAAAA scenic area. 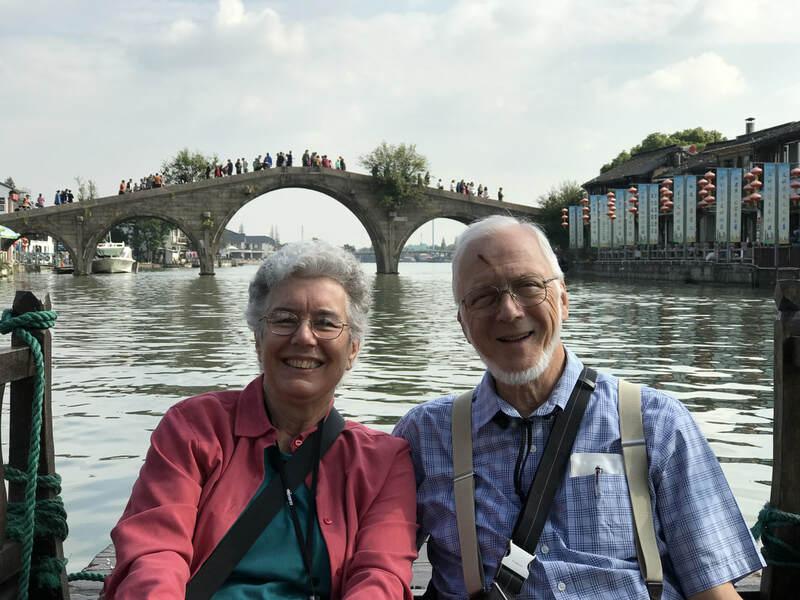 You can tour famous, ancient houses & cross unique "double-bridges." Great for photographers and movie buffs. A China AAAAA, historical site. This scenic old Town is over 1000 years-old and featured in Mission Impossible 3 with its unique waterside covered corridors and shops. Amazing night ​scenes and bar activity. Great for young & young-at-heart. 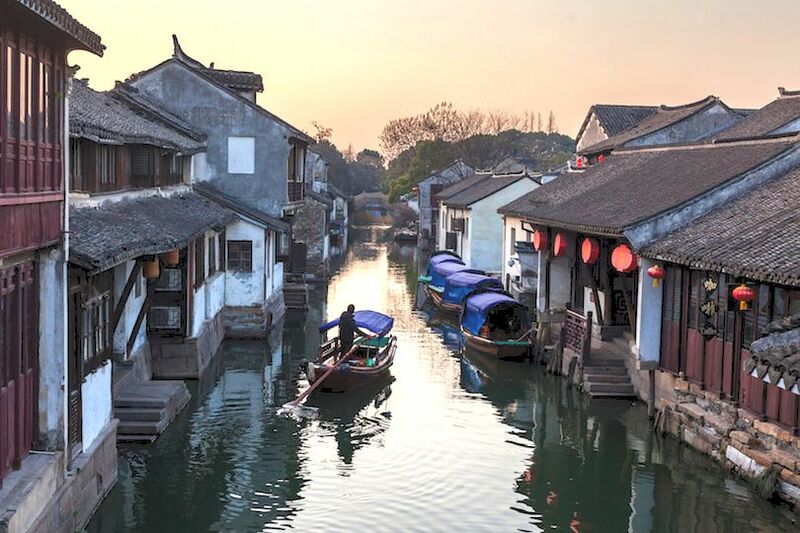 A 2000 year-old, but undeveloped Water Town is close to Suzhou. Its many bridges, undeveloped houses and 13 folk museums, from tile to antiques, make it unique from others. With 50% water, this scenic town has quaint elegance. 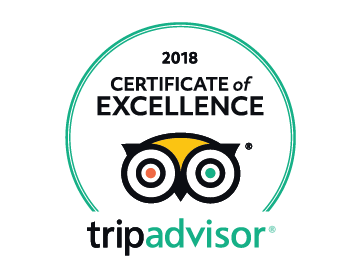 ​​Great for an uncrowded, personal, authentic experience. 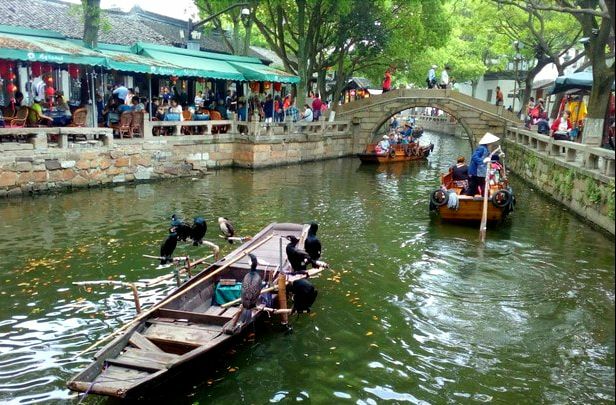 This picturesque Water Town has two cultures - the east is commercialized and crowded, the west is peaceful and elegant. 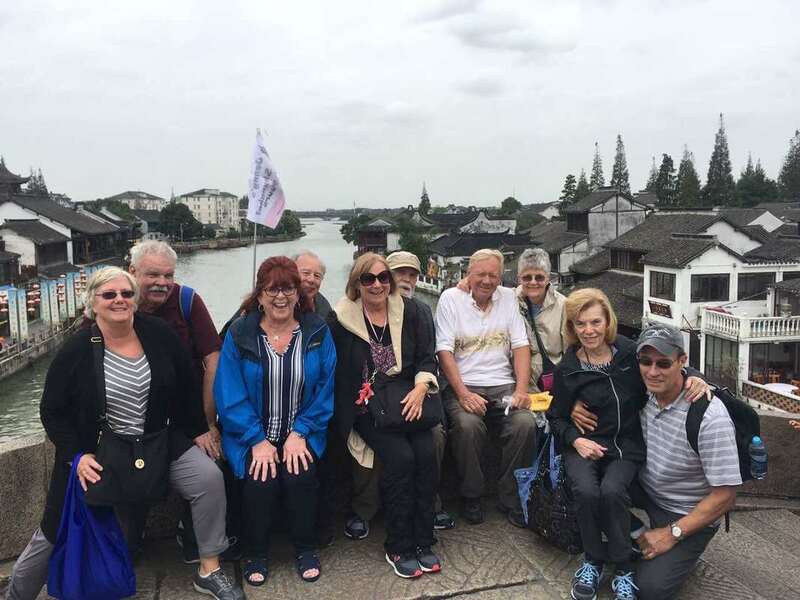 The permanent site of the World Internet Conference and the Wuzhen Foot-binding museum. Stay overnight in guest houses directly on the water. For those wanting a unique experience. It is one of the most well-preserved old towns in this region and is known for its cultural heritage with preserved traditional streets, imposing dwellings and spacious courtyards,landing terraces and covered ways. Many traditional houses and carved-brick arches over gateways still stand today. 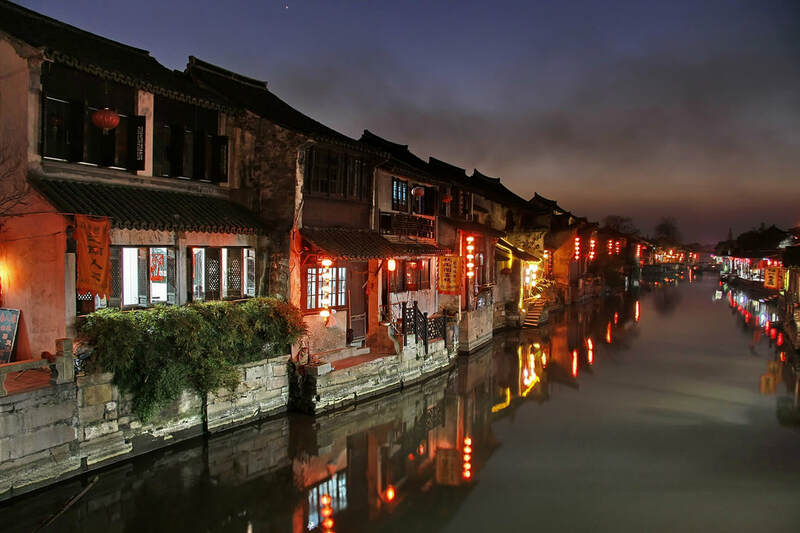 Just 75 minutes from Shanghai is the exotic Xitang ancient water town. This town is tranquil by day but livens up at night with beautiful views and a range of bars and cafes. You'll enjoy an authentic dinner on the water and gondola ride to take in amazing views of the waterways and historic streets. A wonderful evening adventure. Planning Multiple Days in Shanghai? ​We Have the Perfect Package for You! If have more than one day to explore Shanghai and the surrounding area, we can create the perfect package for two or more days! You can also often save money from our single-day tours.... and of course, you can customize any package to your specific interests and needs! Just contact us so we can provide you with a custom itinerary and quote. Browse more multiple day Shanghai options.